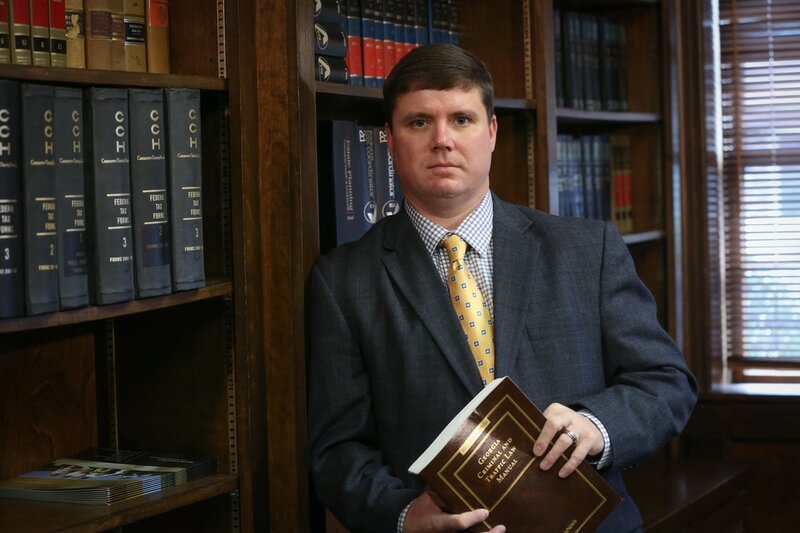 Mr. Benjamin D. Coker is the District Attorney for the Griffin Judicial Circuit, which is comprised of Fayette, Pike, Spalding, and Upson Counties. Prosecuting in this Circuit for over a decade, Mr. Coker presents cases in a variety of courts including: Juvenile, Probate (traffic), Magistrate, and, particularly, Superior Court. Mr. Coker is a trial attorney. He has tried numerous cases before juries, resulting in approximately 20 life sentences and over 400 years in prison for the convicted defendants. Thousands of cases prosecuted by Mr. Coker have resulted in guilty pleas. Mr. Coker, also, actively assists law enforcement agencies with a variety of investigations, including wire taps and racketeering cases. As an Assistant District Attorney, he personally handled hundreds of asset forfeitures removing hundreds of thousands of dollars from the hands of criminals and distributing the funds to law enforcement and victims of crime. Prior to being elected your District Attorney, Mr. Coker was an Assistant District Attorney and the Office Manager of both the Pike and Upson County Offices. He believes in swift justice, but always with an eye towards fairness. Prosecuting is his passion. He works tirelessly to keep the citizens of his Circuit safe. He considers it an honor and a privilege to serve the citizens of the Griffin Judicial Circuit. Mr. Coker, his wife, Christy, and their four children reside in Upson County Georgia. He completed his undergraduate work at the University of Georgia and received his law degree from the Georgia State University of Georgia School of Law. This site is designed to bring information from the Griffin Judicial Circuit District Attorney's Office to the public. Thank you for visiting us.